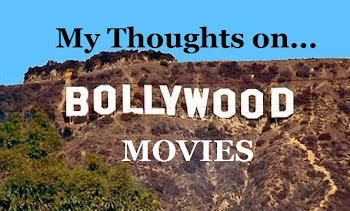 If I say that movies are my passion, I'd be lying because actually Indian movies are my passion. If I say Indian movies are my passion, I'd be lying again because actually, I love Desi entertainment. Period. Television, music, films, dance. I pretty much take everything with the Hindi entertainment industry's stamp on it. Next week, once I get enough time to watch Gangs of Wasseypur and the rest of the small releases that everyone's been raving about, I'll more than likely be back to my film obsessed self, but in the meanwhile, I've been entertaining myself other ways. For years now, I've been glued to the Indian television screen. I admit it: I can switch from a Khan film to Ekta Kapoor's mindless serials faster than Katrina Kaif can shake her hips in Chikni Chameli. It's all so addictive but, god dammit, those Hindi dramas are a disease! Two shows, that I watch religiously are Iss Pyar Ko Kya Naam Doon and Bade Acche Lagte Hai. Yes, the latter is an Ekta show! Last week, as I was sitting on my sofa, stuffing my mouth with Indian food and oogling at my TV screen, while watching Iss Pyar (even the name is romantic), I was left thinking...when was the last time I was so captivated by a movie? What movie? Band Baaja Baarat, I think...wait, that was TWO FREAKING YEARS AGO! A few weeks ago, I was literally watching a scene between Ram Kapoor and Sakshi Tanwar in Bade Acche Lagte Hai and I was crying. That's a big deal, coming from a girl, who hasn't cried watching something since The Notebook. I want to have my feelings evoked the same way as I do while watching those melodramatic, filmy dramas. The stories, the dialogues and even the actors of television emote so much more than their Filmi counterparts do. Hair blowing in the wind isn't "cheesy" for TV because TV doesn't let it get "cheesy". It's meaningful, it's romantic and it's deep. Television isn't afraid or ashamed about what it does best...and for the first time ever, I'm sitting here thinking television has more filminess than films do. Unsurprisingly, a sad fact for a Bolly lover.